Errol: This is it, everyone. 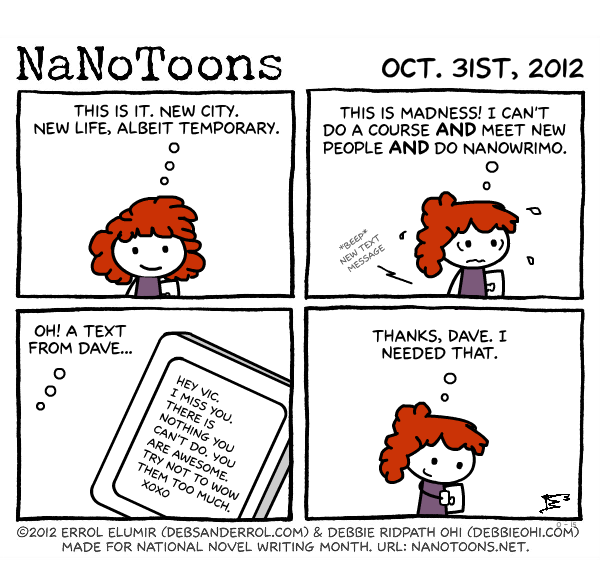 One more day until Nanowrimo! 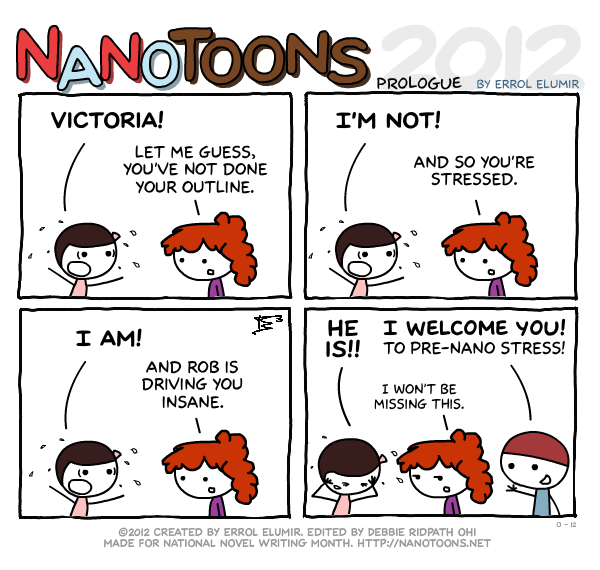 I’m crazy excited, if not only for this, but for the Nanowrimo challenge I set myself, the new comics, and the musical. And yes, this may come as a surprise to you, but we are following Victoria on her trek to a new city. 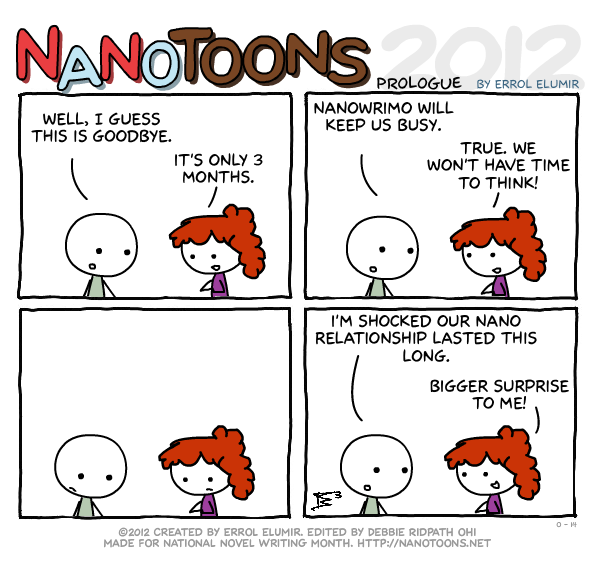 I never realized that people may not be expecting that when we wrote the script up at the beginning of the month. Don’t worry, there will be cameos! Good luck everyone! 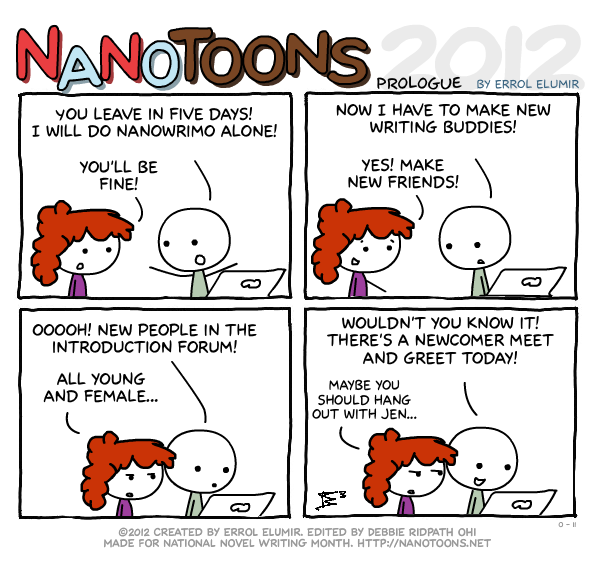 And if you haven’t checked it out, here’s the first episode of Nanowrimo: The Musical! Errol: Tonight is my regions kick off party. It’s crazy, it’s fun, there are so many people that I never see again. 😀 When is your kick off party? How is it? Errol: Almost there! Stay on target! How many more days? Good grief, 3 more days. Errol: Today, in my region, there is a meet and greet for new people! It’s a clay social, where people get together, design their inner editor, and then destroy it! Ha! Our Kick Off meeting is on Monday though, so I can’t wait! Hope you guys have a great weekend! 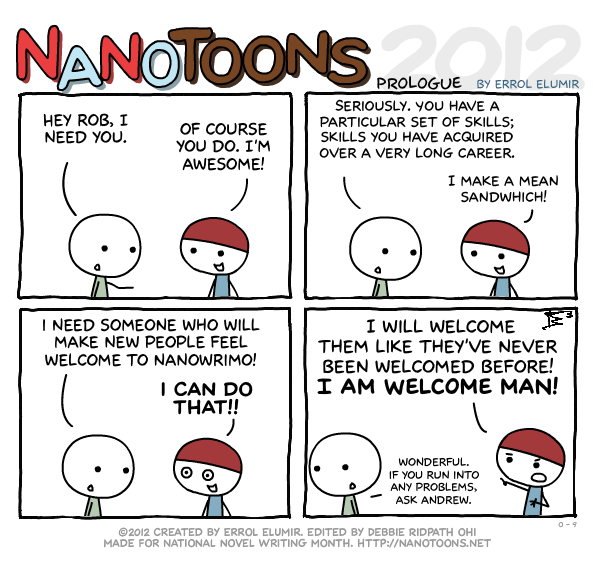 Errol: It’s fun being the welcoming one. 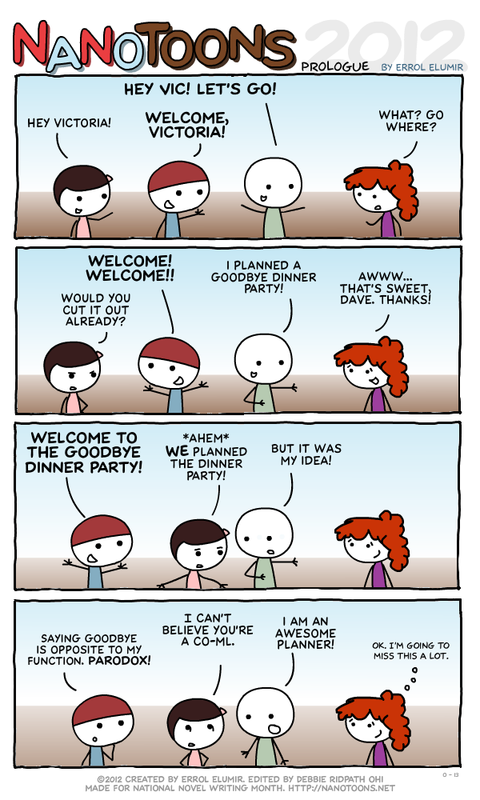 You get to meet new people! I love meeting new people. 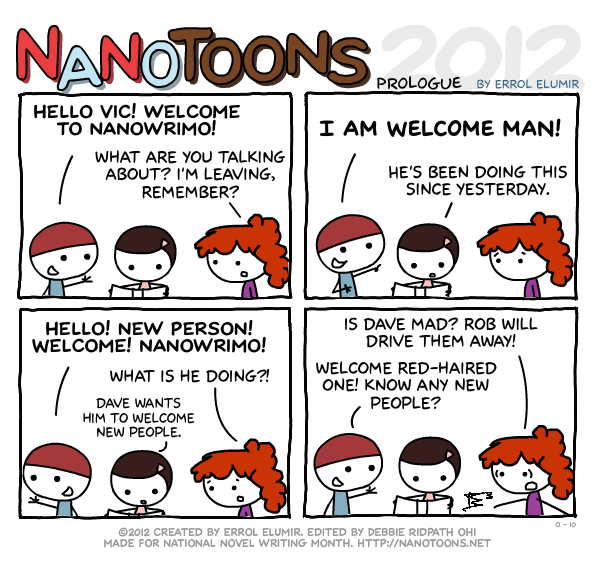 If you ever get a chance to be in one of the many nanowrimo focused chatrooms , and you see me, say hello!